Pelly River Tour - a real wilderness experience! 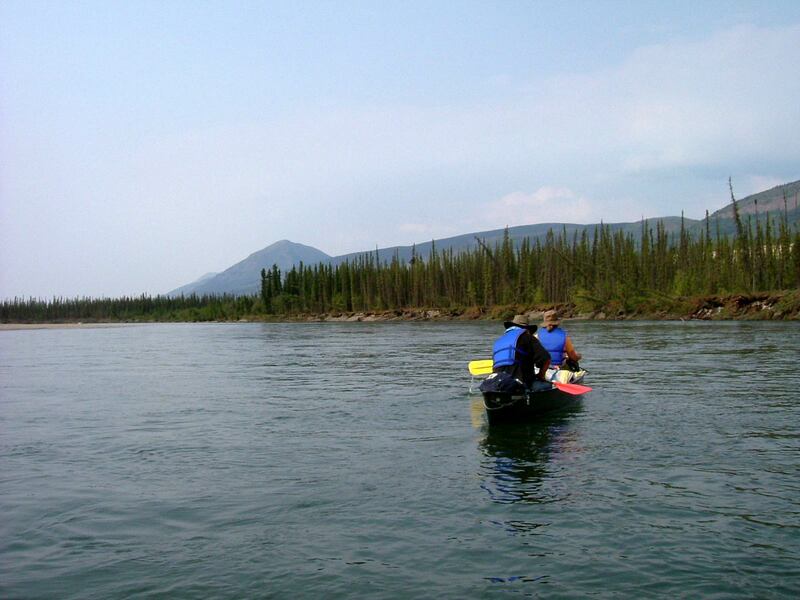 The Pelly River is one of the rarely paddled rivers and is still considered as an insider tip. 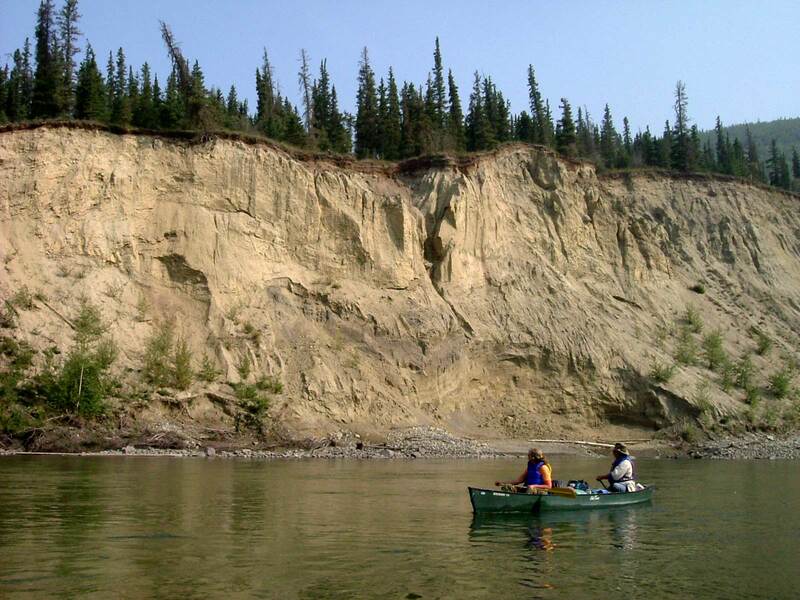 This canoe trip in the secluded nature of the Pelly Range, is one of our most beautiful wilderness tours for paddlers with some experience in light whitewater. 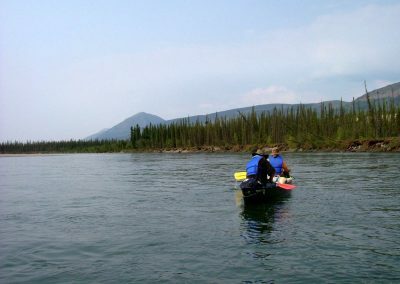 Two short rapids called “Little Fish Hook and Big Fish Hook” provide some adventurous diversity. 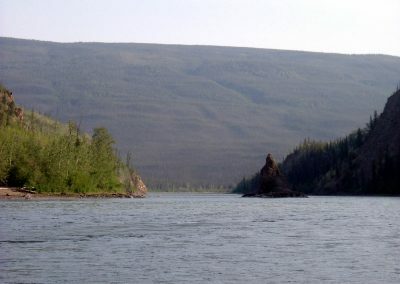 A magnificent mountain landscape surrounds the Pelly River along the route. It is one of the areas with the greatest variety of wildlife and allows frequent observation of big game such as black bears, grizzlies, moose and caribous at close range. Before the tour comes to an end we’ll pass through the impressive Granite Canyon where we will be challenged by a longer but manageable rapid. 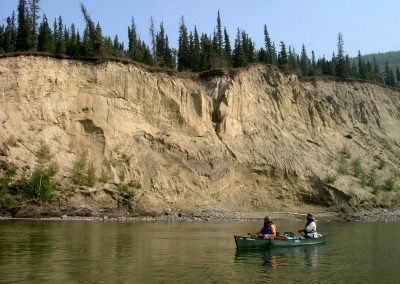 We pick you up at the hotel and drive along the Klondike- and Campbell Highway, past Carmacks we will reach our entry point to the Ross River. On this route you get a first feeling for the vastness of the Yukon. We start our canoe trip with a short stretch before we set up our camp on the banks of the Pelly River. 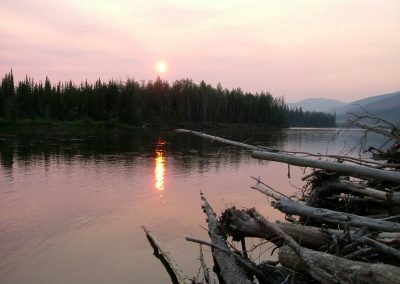 From day one the Pelly River has a pleasant speed. Short day’s stages allow sufficient opportunities to explore the outback. On the first half of the tour, the river is bordered by the Anvil Range and the Glenlyon Range. The valley is narrow and majestic mountains rise up on either side of the river. This is home of black and grizzly bears, wolves, lynxes and wolverines. We will pass some smaller rapids. The tributaries from the surrounding mountains are crystal clear and refreshingly cold and offer several opportunities to prove your fishing abilities. Approximately halfway through the valley, the valley widens significantly and instead of high mountains we are now accompanied by gentle wooded hills. A myriad of small and large islands appear and wait to be explored in the side-arms of the river. In spring we can observe breeding ducks, swans and geese arriving from the south. 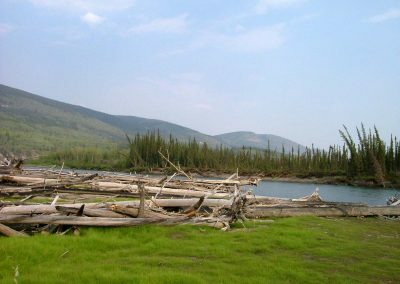 In addition to the large number of waterbirds, there are also mooses, deers and beavers domiciled in this area. Shortly before the tour comes to an end, it will get exciting once again. Passing the Granite Canyon we are faced with 7km stronger moving water, waves and rapids. We camp below the canyon, on one of the few places that indicates an earlier settlement. Here the Robert Campbell Trail is still visible. 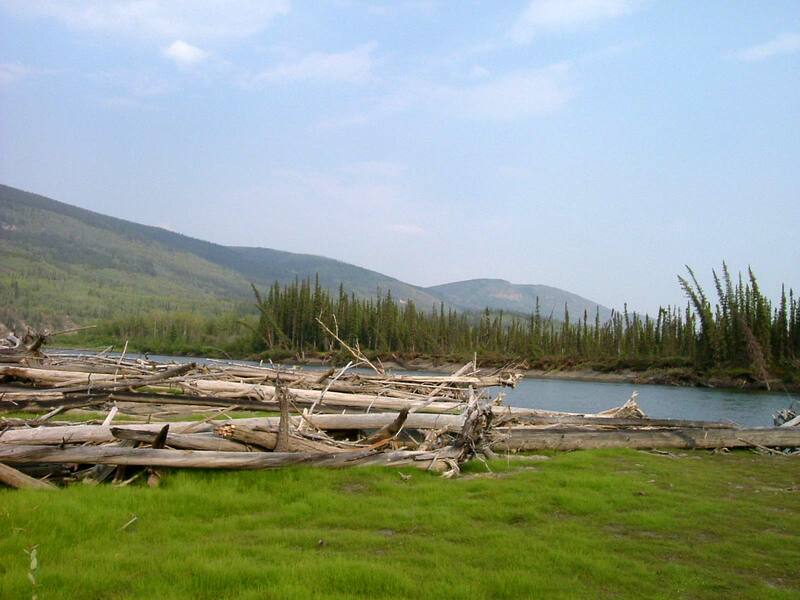 This trail, which was built in the second half of the last century, was one of the first “roads” in the Yukon. A rest day at Needlerock Creek gives you the opportunity to explore both, Granite Canyon as well as the Campbell Trail. Our final stage leads us from Needlerock Creek to Pelly Crossing at the Klondike Highway where we will see some First Nations’ ‘Fishing camps’. 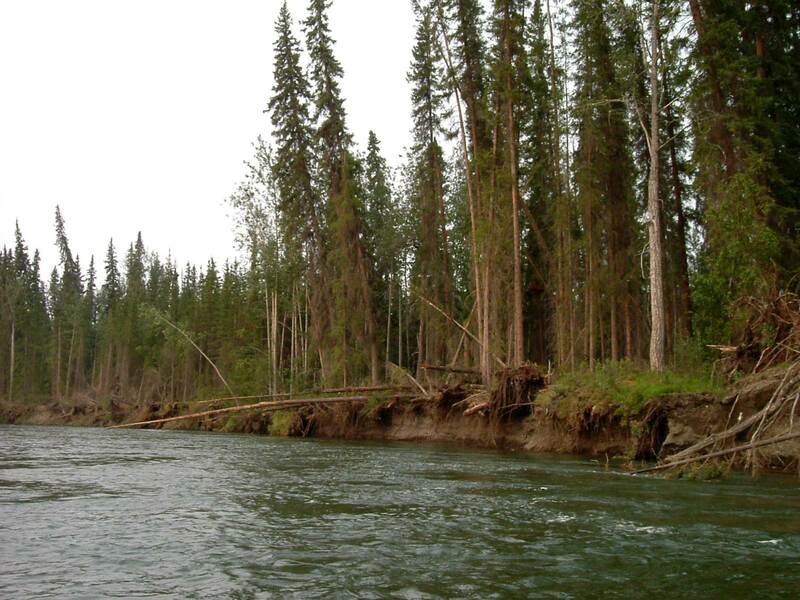 These are inhabited by the local First Nations during salmon season in late summer. Transfer from your hotel to the Whitehorse Airport and say “good bye”.